The fifth annual Jay Bilas Skills Camp took place in Charlotte, NC from June 8th – June 10th, 2018. Held at the beautiful Levine Center of Queens University, the camp featured almost 120 participants hailing from 23 states – half of the whom reigned from a state outside other than the Carolinas. There were at least 10 potential Division I players present and a slew of other DII, DIII, and NAIA prospects flanked by former professional, DI, DII, and DIII college coaches. The overnight experience on a college campus afforded unique bonding time for the participants in college quarters outside of the on-court time. Jay Bilas and Camp Director John Searby established the camp back in 2014 after observing that the competitive basketball world for high schoolers had devolved into summer club teams and tournaments with a growing dearth of a focus on fundamental skill building. The inaugural Jay Bilas Skills Camp in 2014 had 55 participants and the camp has grown in size and intricacies of the curriculum since then. The first day consisted of offensive breakout sessions and progressions modules with current Queen’s University coach Bart Lundy. The evening session consisted of the “Heat Drill” in which the players went from playing 2v1 to 5v5 in two-person increments capped off by team scrimmages. The second morning consisted of individual skill teaching and more progressions with Coach Lundy. In some of the 3v3 work, Coach Lundy introduced some unique wrinkles to force players to really focus on the nuances of the drill – including no dribbling and mandating a ball screen before scoring. The evening sessions closed out with more team scrimmaging. The final morning included more progressions teaching with Coach Lundy, sessions on effective entry passes and wing and guard movement off post entries, and some King of the Court and Hotshot competitions. Each day commenced with warm-ups led by Alan Stein Jr. who spent 15 years working with some of the top basketball players in the world and is now a corporate keynote speaker. Stein preached the importance of dynamic stretching and the subtleties of what it takes to ensure the athletes’ bodies were fully equipped for a grueling three days of drills, scrimmaging, and learning. Stein Jr. had perhaps the most memorable quote/wisdom of the camp. He then proceeded to walk through a few mentally and physically taxing opposite hand drills to help the players activate the right side of their brains. Camp Director John Searby not only oversaw the logistics/operations of the camp but consistently introduced twists into the drills to keep the players on their toes and locked in mentally – most notably silent periods in which players had to organize and execute some of the more complex stretches and drills while the coaches remained silent and watched from the sideline. This year’s camp also included a Coaches Development Program (CDP) in which current and aspiring high school coaches came to Charlotte to imbibe learnings from the other coaches, players, and speakers. The CDP also permitted more individualized instruction and support for the players and afforded a 3:1 player: coach ratio. All coaches in the CDP were able to get USA Basketball certifications through a session led by Don Showalter, the head coach of the 2018 USA Men’s U17 World Cup Team and a nine-time USA Basketball gold medalist. A new segment that camp leadership introduced this year was two days of breakout sessions for the parents of the participants. Parents got to hear from the likes of former Division I coaches John Shulman and Jeff Lebo who imparted wisdom on the recruiting process, college basketball life, and the dos and don’ts of seeking advanced basketball development. Paul Biancardi, the ESPN national recruiting director for boy’s high school basketball, was intimately involved in the camp. He provided on court feedback in small and large group settings for the players, led sessions for the CDP on talent evaluation and how to recruit, and held sessions for parents of the players about effective additional developmental opportunities for players who are serious about playing at the next level. Biancardi also led a team of onsite talent evaluators creating evaluation material for all players who attended. Jay Bilas, a former Duke University and professional basketball player turned ESPN college basketball analyst and one of the best personalities on social media, did not just attach his name to the camp but was actively involved in all three days of the camp and consistently provided positive and constructive feedback at an individual and group level. The camp culminated with an inspiring message from Bilas – over the summer many of the campers will be traveling for tournaments and camps and that they should make a concerted effort to treat everyone with the same level of respect that they demonstrated this weekend at Queens Universities, from the restaurant hostesses to the hotel maids. Camp partners included Under Armour, Queens University, Pro Skills Basketball, and Centerfold Agency. Under Armour provided backpacks, jerseys, shirts, slippers, and other apparel for players and coaches. 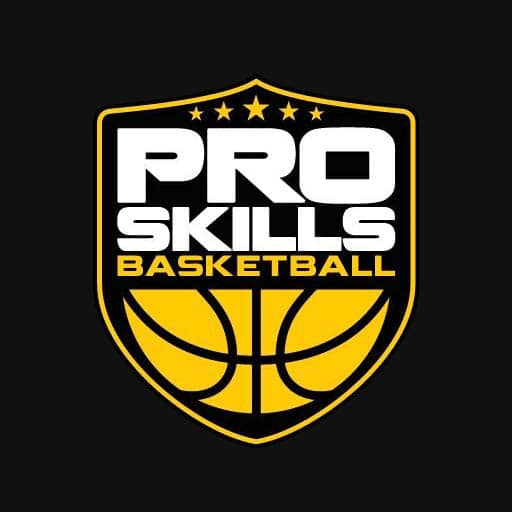 Pro Skills Basketball contributed to the camp participant recruiting, camp marketing efforts and the player evaluations. Centerfold Agency provided the creative paraphernalia and social media management and content for the Camp. Clements played on the Hawks which took home the 5v5 title on Sunday afternoon. Pictures and videos from the Jay Bilas Skills Camp can be found on the camp’s Twitter and Instagram pages.